Home Faith Don’t be to Intellectual that You Reject The All Knowing God! Have you ever met someone who was to smart for their own good? I’ve met so many people that do not believe in Jesus or the Bible, because they believe that faith in Jesus and the Bible is a science (something that should make logical sense). You cannot embrace God through intellectualism. Let me repeat, you cannot embrace God through intellectualism! This is why some of the most intelligent people can reject the free gift of Salvation through Jesus Christ and the Word of God (Bible). For example: some non-believers can’t get pass the fact that God used men to write down his Word in what we call the Bible. After-all the God of the Universe couldn’t write the Bible himself? Non-believers love to ask, why would I believe in a book written thousands of years ago? My famous response is, can you see the wind? Of course not, but you can infer that it exists based on its effects (movement of hair, trees and clouds etc). Faith in God is not a science, it defies all logic! Imagine if getting saved was dependent on your level of intelligence? This would have meant that a man would go to hell just because he isn’t smart. Intelligence has variables… think about it. We are not all equally endowed with intelligence. The reason that accepting Jesus is not based on intelligence is because Salvation is not intellectualized. That would not be fair or just, because all of us do not have the same IQ. I am reminded that just because you are small in the Earth, doesn’t mean that you are small in the Kingdom of God. You can be illiterate and be anointed. Human logic and knowledge doesn’t epitomize truth. That’s why you can have the highest IQ, be a Fortune 500 Company CEO, but yet struggle with the concept of faith and things of the Kingdom of God. For example: the intellectually astute person will try to ask why about everything when it comes to God. However, God is not going to explain why to something as small as us. Humans don’t even have the full mental capacity to understand God and His Kingdom. After-all we only understand about 10 percent of how the human brain functions. So how dare someone (a human created by God) put his/her thoughts in an argument with the very God that created the mind he/she has to think with. Unbelief is an insult to God, because it basically tells Him that you do not trust Him. I’m reminded that God asked Job after he questioned Him, “Where were you when I laid the foundation of the Earth?”, “Where were you when I separated the light from darkness?” The bottom line, God’s thoughts are above our thoughts and His ways are far above our ways. So in order to be fair to all mankind, Salvation doesn’t come by intellect, but by FAITH! 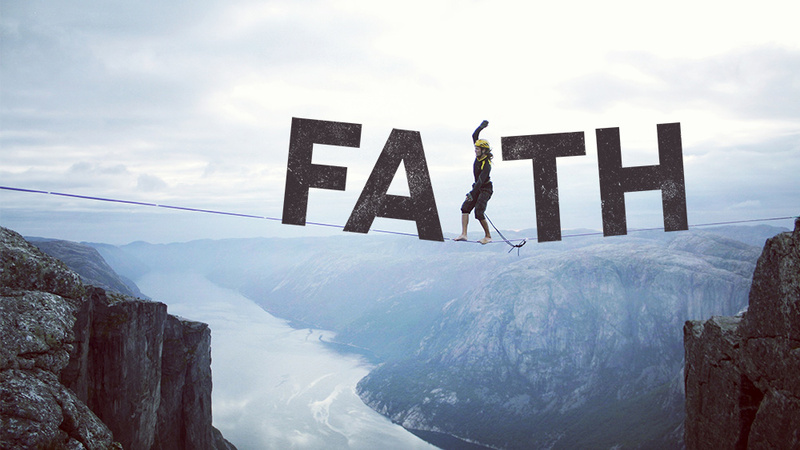 Faith is God’s way of leveling the playing field for all of mankind. Faith is our common denominator. So I beg you, please don’t be to intellectual that you reject the one true living and all knowing God! FAith in GOd is not a science, it defies logic!